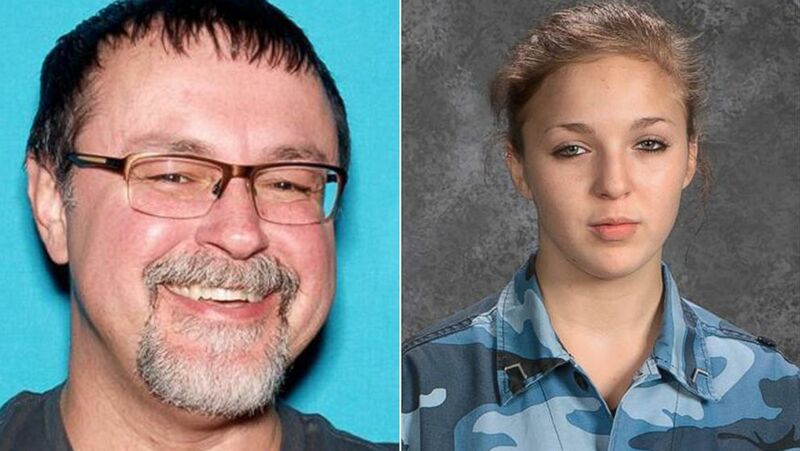 The missing Tennessee teen was spotted with her alleged abductor in Oklahoma. Surveillance footage showing a Tennessee high school student at a Walmart in Oklahoma with the former teacher who allegedly kidnapped her has given hope to the teen's distraught family. 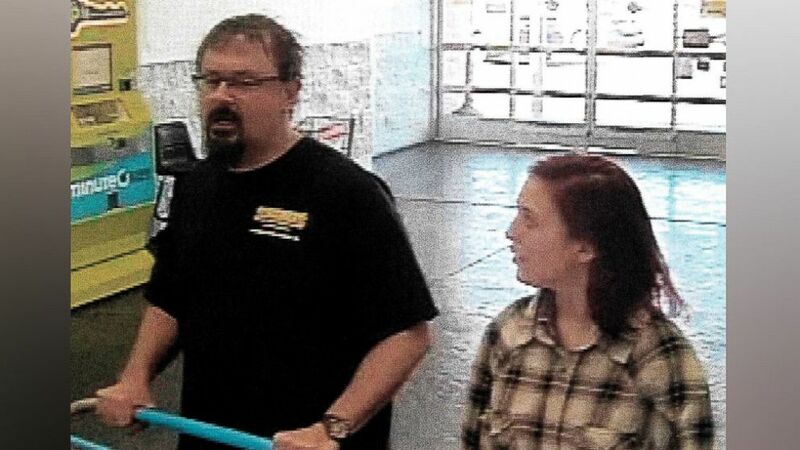 After receiving a tip late Thursday, investigators obtained images from surveillance cameras at a Walmart in Oklahoma City showing 15-year-old Elizabeth and 50-year-old Tad Cummins on the afternoon of March 15, two days after she was was allegedly kidnappped by her former high school teacher, according to the Tennessee Bureau of Investigation. The surveillance images show Cummins “with an altered appearance to darken his hair” and indicate that “Elizabeth may currently have red hair,” the investigative bureau said Friday. The pair entered the store together and Cummins used cash to buy food. He didn’t buy “anything else of significance,” the Tennessee Bureau of Investigation said. The store in Oklahoma City is more than 650 miles from where Cummins and Thomas both lived in Tennessee. “Efforts to determine what vehicle they were traveling in remain ongoing,” the Tennessee Bureau of Investigation said Friday. An attorney for the Thomas family, Jason Whatley, told ABC News that in the image of Elizabeth walking behind her former teacher, "She looks subservient to him, walking behind him, looking to him." "It's a very scary image," the lawyer said Friday. "And frankly, it's exactly the kind of image that we were expecting; it's just very shocking to finally see it." The surveillance video is the first confirmed sighting of the pair since March 13, when Cummins allegedly kidnapped Elizabeth. A day after they disappeared, he was fired from his teaching job at Culleoka Unit School, where Elizabeth had been a student in his forensics class. An Amber Alert has been issued for Elizabeth, and Cummins is wanted on allegations of aggravated kidnapping and sexual contact with a minor. The former teacher has been added to Tennessee’s ten most wanted list. “This is the first proof positive we’ve got that Tad did abduct her and they were traveling together,” Elizabeth’s father told ABC News on Friday. 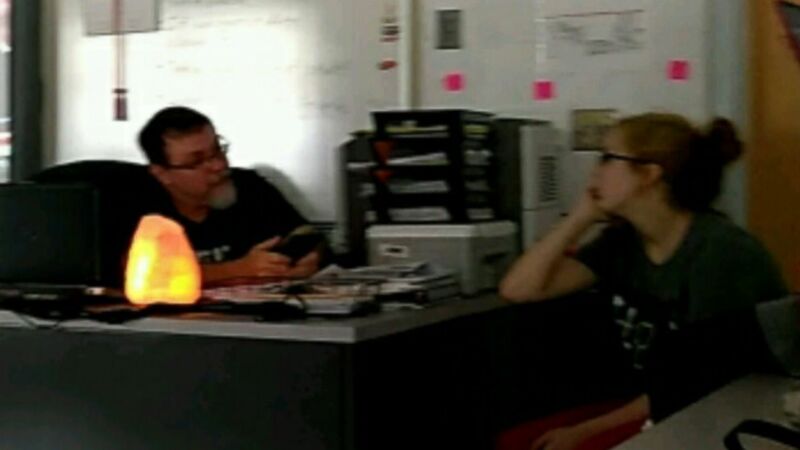 Cummins, a married father and grandfather, researched teen marriage online, specifically the age of consent, just eight days before he allegedly took Elizabeth. And just three days before the alleged kidnapping, Cummins did an online search about his car “to determine if certain features could be tracked by law enforcement,” according to the Tennessee Bureau of Investigation. Cooper on March 28 asked members of the public to share the Amber Alert for Elizabeth with friends and family members in Mexico and Central America, adding that Mexican law enforcement had been notified and "it's possible that's where they are." Cooper said Cummins "planned this in such a way that he had a 24-hour head start ... easily enough time for him to make it to Mexico." (The Tennessee Bureau of Investigation) (L-R) Pictured are Tad Cummins, who is on the Tennessee Bureau of Investigation's 'Top 10 Most Wanted' list and Elizabeth Thomas, the subject of a statewide AMBER Alert in Tennessee. Investigators have discovered email draft messages between Elizabeth and Cummins, which authorities said show a romantic relationship between them. According to authorities, after one of them would write a message, he or she would save the message as a draft, and the other person would log on, read the message and delete it. One of Elizabeth's schoolmates reported seeing her and Cummins kiss in his classroom on Jan. 23, according to a school district investigative report, but both denied the claim. A school report from January reads that neither one "admitted to behaving inappropriately towards the other." Tennessee Bureau of Investigation director Mark Gwyn said earlier this week, "This is not a fairy tale. This is a case of kidnapping." A lawyer for Cummins' wife, Jill Cummins, said she has filed for divorce after 31 years of marriage. "Jill will attempt to move forward with her life," attorney Michael Cox said in a statement provided to ABC News on Friday. "Jill continues to pray for the safe return of Elizabeth Thomas and for a peaceful resolution to this ordeal." Before her disappearance, Elizabeth was seen around 7:30 or 8 a.m. local time on March 13 at a Shoney's restaurant in Columbia, Tennessee, where she was dropped off by a friend, according to the Tennessee Bureau of Investigation. She never returned home that night. Surveillance footage from a gas station near the restaurant appears to show Cummins at about 8:30 a.m. filling up his silver Nissan Rogue, the car in which investigators believe he may still be traveling in with the teenager. Later that same afternoon, a cellphone ping placed the pair in Decatur, Alabama, according to the Tennessee Bureau of Investigation. Their trail went cold until now. In an emotional interview with ABC News on Friday, Elizabeth’s father pleaded to her daughter to come home. “Elizabeth, if you can hear me, please come back to us,” he said. ABC News' Elisabeth Bognar, Michael Edison Hayden, Dee Morales, Eva Pilgrim, Emily Shapiro and Nery Ynclan contributed to this report.